I have been a big fan of the LaserLyte training products for some time simply because they work great as trainers, are a lot of fun, and have saved my sanity when time or weather have not permitted an enjoyable day at the range. I have one of the .223 & 9mm LaserLyte chamber insert trainers and love it, however I have always wanted a trainer for my .22 caliber rimfire pistol and rifles. I have so many great guns such as my Henry Golden Boy, my custom 10/22 rifles, and some fun little pistols which I do not get enough time with at the range. The LaserLyte LT-LR delivers a good simulation of being at the range paired with practical fun and useful training. The LaserLyte LT-LR insert also makes me feel like I get more time behind these guns which is always a great thing and moves many of these great guns from safe queens to heavily used training guns. The company was founded in 1987 and has had a storied past starting as Tach Star then merged in 1996 with Lyte Optics to form LaserLyte. 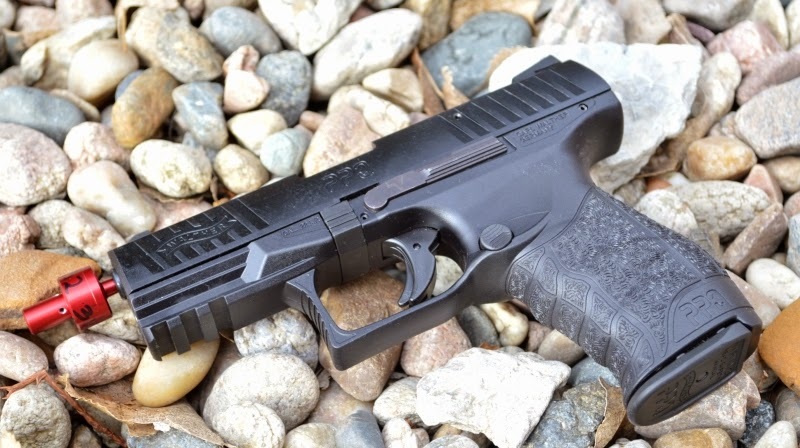 From that point, the company has been creating one innovation after another which has now evolved to include a vast array of laser gun sights, laser bore sights, laser training systems, and now center mass laser sights. For LaserLyte, bringing together the boresighting and laser projection into a training system has been a natural progression. 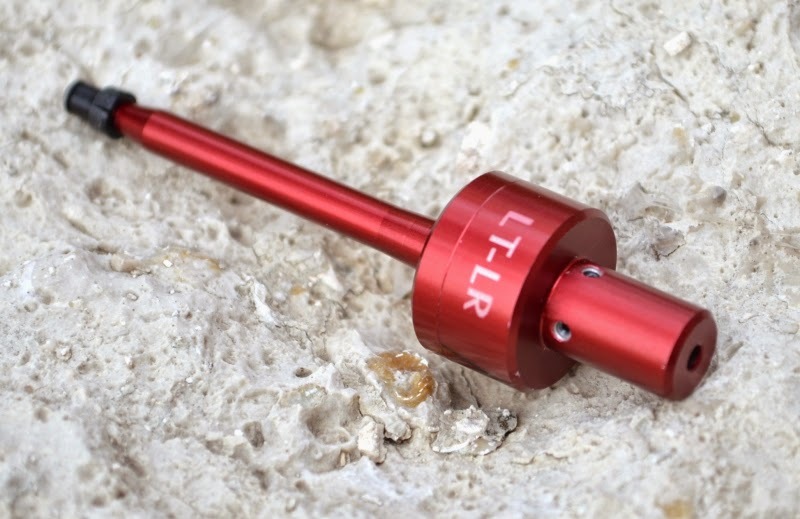 Today the company offers a wide variety of laser sights, bore sighters and laser based trainer products. 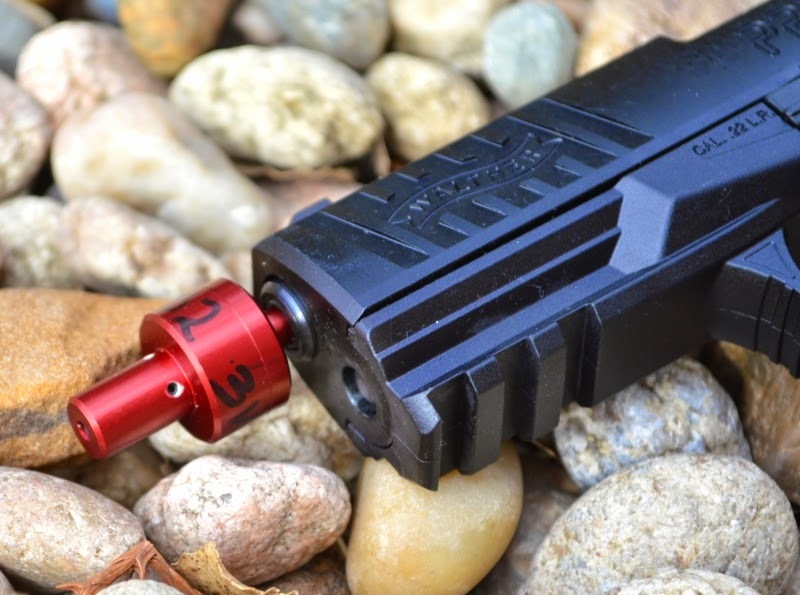 LaserLyte caliber specific bore trainer inserts are primer switch fired, however their Univeral and the LT-LR Universal Pistol Trainer inserts both work on a sound detection system which has proven reliable. My first Universal Traininer did not work well however LaserLyte replaced it and I have had no issues since and no issue with the .22LR LT-LR insert. One of the somewhat painful procedures of use was that the Universal Model is "always on" until you unscrew the battery compartment and insert a little plastic inset to turn the unit off. Reinstalling the tiny little batteries correctly was also a wee bit frustrating. With the LT-LR, just unscrewing the unit three turns flips the trainer off and when it comes time to replace the battery, there is just one larger battery instead of three tiny fumbly sized batteries. I found that the single CR1632 is not as prevalent as other batteries, you can find it, but it is not as available as CR2032 wafer batteries. The biggest advantages of this system are that you can use your real actual firearm for training which I consider a huge plus and “the” feature of the LaserLyte system. With both the universal insert and the cartridge inserts, draws from the holster are possible, however the LT-LR is a big big and did not work on any of the .22LR pistol holsters I own. 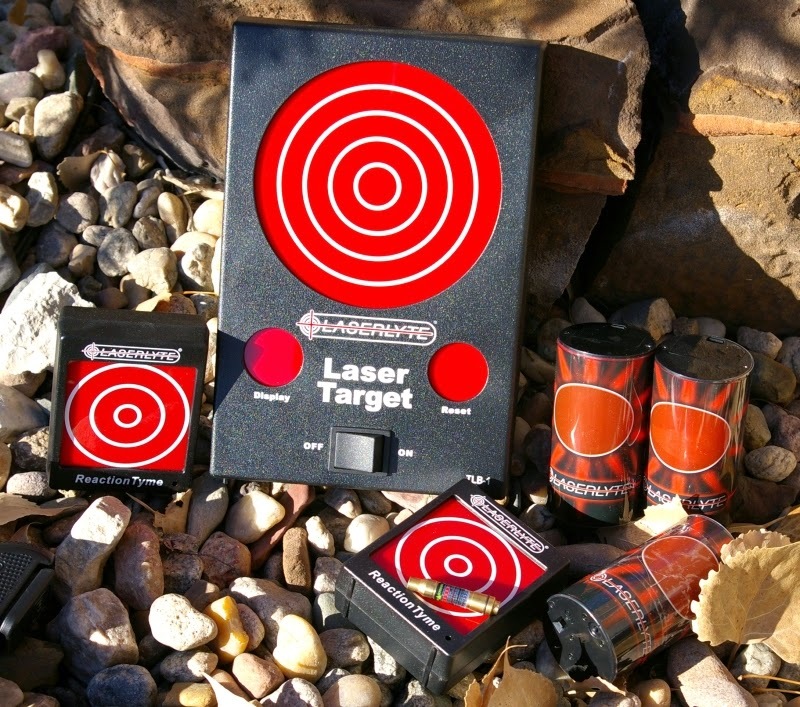 What would a laser trainer insert be without some targets and LaserLyte makes the widest variety in the industry. I paired the LT-LR with my LaserLyte Reaction Tyme Targets, Trainer Score Tyme, and Laser Plinking Cans. I also used the insert with another manufacturers target recording and all worked great. Though the Plinking Cans are a little temperamental in bright light, they are definitely the most fun with a .22. Whether you actually use the system to train or to have a little fun while watching TV at night, this is a highly valuable system for training to see your trigger control, to minimize your flinching, improve sighting and target acquisition, practice your holster to target hits, and deliver unlimited plinking from you .22LR rifles and pistols. The system also lets you attempt training which would be potentially unsafe with live ammo or begin training with a new shooter in a safe comfortable environment. The LaserLyte trainers are all a blast, practical, and pay for themselves very quickly. Though I have yet to wear out a LaserLyte trainer, I may come close with the LT-LR. My Henry Goldenboy along has burned through thousands of laser shots. I have found that the battery capacity of 10,000 rounds does go quick and I would say my first battery delivered more like an unofficial 2,000 shots, however my replacement batteries delivered substantially more shots. I really did not keep track of how many shots, but it "seemed" like far more. Another awesome product from LaserLyte that still pays for itself in only 1500 rounds of ammo at today's current ammo prices.